Moura–Ficalho aquifer system consists of a mixed karst-fissured system, in the driest region of SE of Portugal, with c. 187 km2 of total area, of which 85 km2 correspond to outcrops of carbonated rocks. This aquifer system is responsible for water supply to several villages in the Municipalities of Moura and Serpa, also supplying the bottling industry of the natural mineral water Pisões-Moura, and the thermal spas of “Termas de Moura”, as well as the agro-livestock needs mainly through private boreholes. To characterize this aquifer system from the chemical, isotopic and hydrodynamic point of view, several fieldwork campaigns were carried out in the region being groundwater samples were collected in springs and boreholes for physicochemical and isotopic determinations. Results allowed the identification of paleowaters in the farthermost accessible point of the system based on radiocarbon measurements. 14C content was determined in the TDIC of the mineral water samples; it varies from 6.0 ± 0.3 to 79.3 ± 0.3 pmC. Furthermore, the presence of paleowaters is enhanced by the isotopic depletion of about 0.3‰ in oxygen-18 and about 3‰ in deuterium, corroborating the hypothesis of recharge under different climatic scenarios. 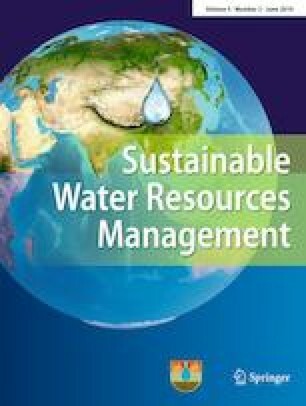 This article is part of the special issue on Sustainable Resource Management: Aqua. The authors acknowledge the Câmara Municipal de Moura and to Águas Públicas do Alentejo SA for the collaboration in water sampling. C2TN/IST authors acknowledge the FCT support through the UID/Multi/04349/2013 project.